Show the lighthearted side of the battle for Gotham with every hot cup of coffee, tea or cocoa you drink with the “Batman Graffiti” Heat-Sensitive Morphing Mug. 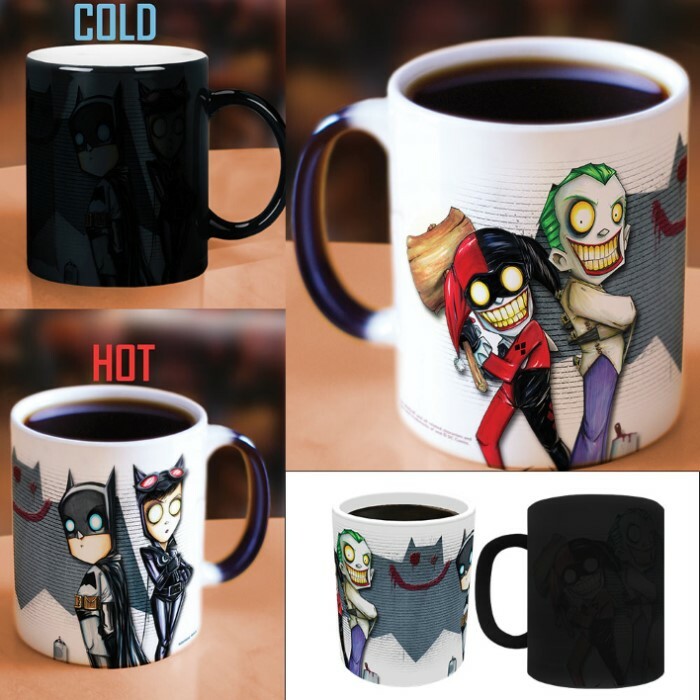 As it sits on the shelf at room temperature, this mug is ordinary solid black, but pour in a hot beverage and watch as cute illustrated renditions of Batman, Catwoman, the Joker, and Harley Quinn appear. The hand-drawn heroes and villains stand with their backs to a sketched, textured white brick wall. Only the mug’s handle remains black when filled with hot liquid. This super-collectible 11-oz. 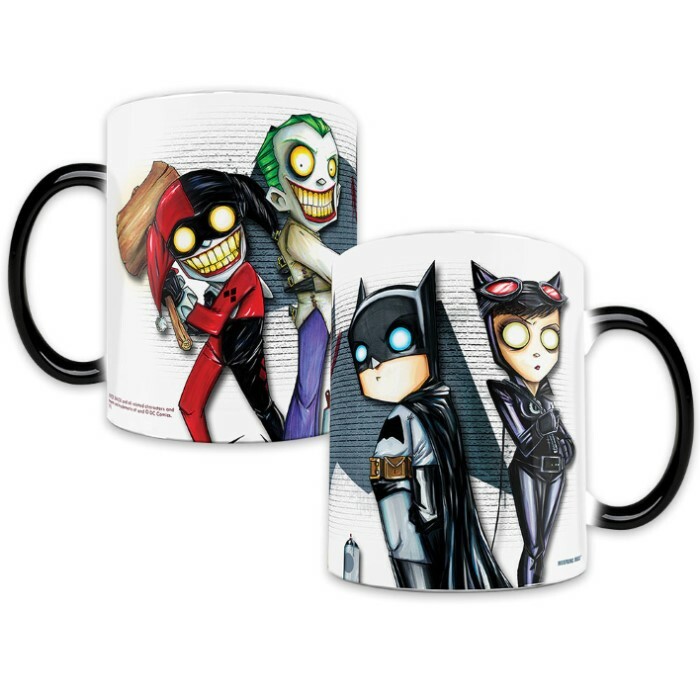 mug is tons of fun for adults and children alike and makes a great gift for any comic book fan.